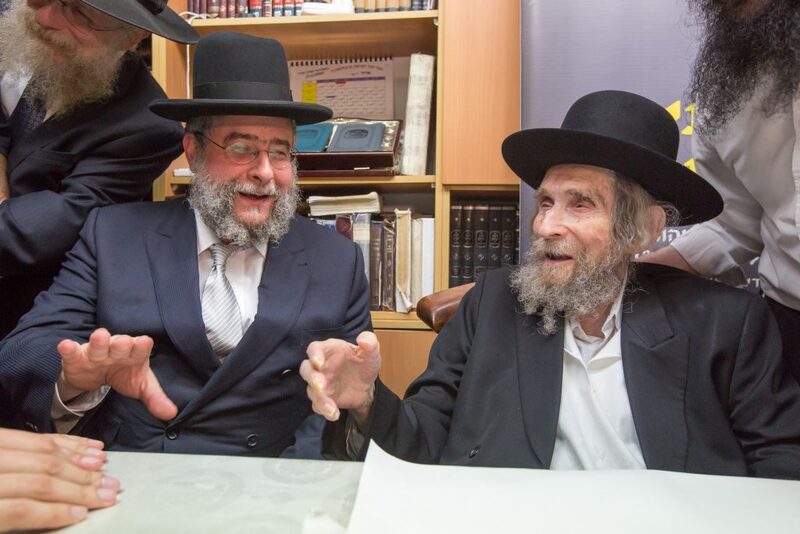 Rabbi Pinchas Goldschmidt arrived in Moscow in 1989 to a barren Jewish landscape. Since then, Jewish life in Russia has flourished, with the development of day schools and rabbinical schools, a burial society, kosher restaurants and soup kitchens, a Beis Din, and political structures. 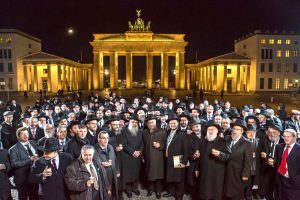 Rabbi Goldschmidt’s influence reaches beyond Russia to Europe in his role as President of the Conference of European Rabbis. 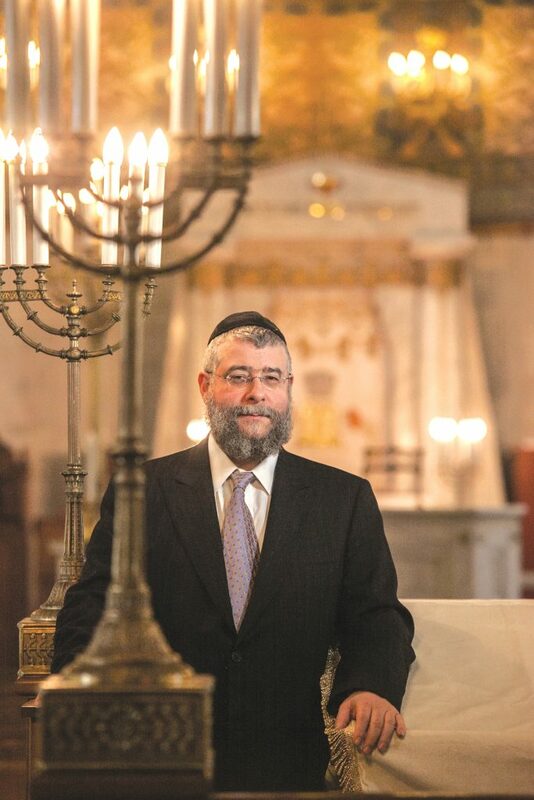 In that position, Rabbi Goldschmidt strives to preserve Jewish continuity in Europe, while providing political and legal guidance to Jewish communities. He has worked to battle legislation against bris milah and shechitah, raise the profile of security for Jewish institutions, and engage in interfaith dialogue with both Christians and Muslims. Born in Zurich, Rabbi Goldschmidt is a musmach of Ner Israel Rabbinical College and has studied at Ponevez Yeshiva, Telshe Yeshiva in Chicago, Shevet Umechokek Institute for Rabbinical Judges and the Harry Fischel Institute for Talmudic Research. In addition, he earned a Master’s Degree from John Hopkins University. Rabbi Goldschmidt speaks seven languages and has written extensively on issues regarding Jewish law both in Russia and Europe. He has also addressed the U.S. Senate, the EU Parliament, the Knesset, Oxford University, Harvard University, and other forums on Jewish communal life and the threat of anti-Semitism. The father of seven children, Rabbi Goldschmidt is the recipient of many awards, including the Jerusalem Prize and the French title of Chevalier of the National Order of the Legion of Honor. In an interview with Hamodia, he spoke of the current state of Russian and European Jewish communities and what lies ahead. What attracted you to Russia, and what are your most memorable challenges and accomplishments? The main attraction was the challenge. In 1989, Russia was still part of the Soviet Union, behind the Iron Curtain. Moscow then had one million Jews, but there were no communities to speak of, the main shul was dilapidated, no schools, no Jewish organizations, nothing. Back then I was asked to be the halachic advisor to the Chief Rabbi of the Soviet Union, Rabbi Shayevich. There weren’t too many candidates back then; not too many people wanted to live in the Soviet Union. At that time I was Rosh Kollel in Nazareth Illit in the north of Israel, married only a few years with two little children. We originally went for one year. 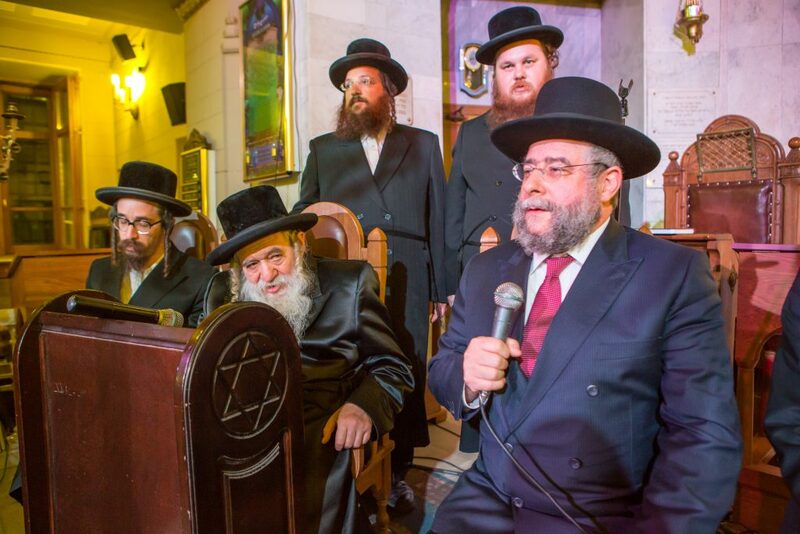 Then the community asked me to become the official Av Beis Din, and in 1993 I became the Chief Rabbi of Moscow. This year, 2019, will be my 30th year in Moscow. We started with one kindergarten outside of Moscow. In 1991, we added Sunday schools, and slowly we founded different yeshivos and schools, including the Etz Chaim Day School. Rabbis gradually filled up posts in various cities. What was the effect of so many Soviet Jews emigrating to Israel and America after the collapse of the Soviet Union in 1991? After the dismantling of the Soviet Union, everything came above ground. We created dozens of Sunday schools in Moscow, but the problem was that we had no teachers. Nobody knew anything. So Rav Eliyahu Essas, [a former underground leader] who was living in Israel then, proposed putting an ad in Izvestia, Russia’s most important newspaper, for Jewish teachers and creating a seminar for them. Sixty teachers showed up. I think 50 of them were Jewish. Slowly we taught them, and the great majority became frum and became teachers in the Sunday-school network. Didn’t that involve a long process? Yes. Sometimes the teachers were only a few days further ahead in their studies than their students. There was a tremendous shortage of Russian-speaking people who could teach Torah. So we taught Russian to non-Russian speakers too, and they in turn taught. It took at least five to six years until we had local talent to lead communities and schools. Did you experience any type of anti-Semitism in Russia at the time, and how did it change over the years? Anti-Semitism during Soviet times had an official character. The policy of the country was anti-Semitic, meaning a Jew couldn’t go to the better universities, couldn’t get better jobs, couldn’t work in the Foreign Ministry or security. Jews could only attend second-tier universities and become deputy general managers of big factories, never general managers. This was after Stalin. Under Stalin, of course, it was much worse. When the Soviet Union fell apart, everything fell apart. Many Jews were then in second- and third-tier positions in state corporations. Some of them became the heads of those corporations and became famously rich. They would be known as the oligarchs. During Yeltsin’s time in the beginning of the 1990s, at least 80 percent of the oligarchs had some sort of Jewish roots. Putin is known to have a good personal relationship both with Russian Jews and with Israeli Prime Minister Netanyahu, yet Russia votes consistently against Israel at the U.N. and is aligned with Iran. How would you reconcile this seeming conflict? I would say that Russian foreign policy has, in the international organizations like UNESCO and the U.N., been consistently pro-Arab and anti-Israel, while on a personal basis the relationship between Putin and Netanyahu has been very good. Also, the signals given by the Kremlin have been much different than what is coming out from the Foreign Office. But doesn’t Putin control the Foreign Office? Of course. But I would say that it’s a double signal. Russia is an ally of Iran, even though in general the population feels a certain connection to Israel. Don’t forget, Israel has more than one million Russian-speaking citizens. Also, Israel is extremely important for Russia in terms of its holy places to Christianity. I think one of the most significant moments showing the political closeness between Israel and Russia was the last Victory Day, on May 9, when Netanyahu came to Moscow and laid a wreath on the Tomb of the Unknown Soldier next to the Kremlin. There were three people there — Putin, Netanyahu and the Serbian president. No other president of a Western country is coming to the military parade on Victory Day because of the Cold War. So it was extremely symbolic that Netanyahu came and the whole country heard the Israeli national anthem being played alongside the Russian anthem. To some extent, this also shows some closeness in the security establishment of Israel and Russia. However, one of the more difficult moments in this relationship happened when the Russian military plane was shot down in Syria. I don’t know if the relationship is really back to normal or not. Given this background, how concerned are you that Russia will take advantage of America’s departure from Syria and allow Iran to threaten Israel? I don’t think that Russian policy will be one-sided. I think the purpose of the Russian involvement in Syria is part of Putin’s foreign policy in making Russia great again, bringing Russia to the international scene as a superpower and a power broker. What has happened now in Syria is that Russia is basically the main power there. Every decision, regarding the Kurds, the Turks, Assad and the opposition, ISIS, has to receive approval from Moscow. And I think Russia wanted to become and has become the arbitrator of this crisis and civil war. In addition to being Chief Rabbi of Moscow, you have served as the President of the Conference of European Rabbis since 2011. What differences do you see between Russian and European Jewish communities? Russian Jews see themselves as part of Europe. … The organization that has functioned since 1956, when it was founded by the Chief Rabbis of England, France and Holland, is the Conference of European Rabbis. It has become not only a spiritual umbrella, but whenever there are problems in countries between Jewish communities and the government it has become an interlocutor between them. From our point of view, in Moscow, it was crucial to be a part of this organization because it recognizes or doesn’t recognize Rabbis and Dayanim all over Europe. Also, it gives them political support. While Western Europe has different challenges than Russia, in terms of policy and level of practice, it’s the same. With Sebastian Kurz, Chancellor of Austria, May 2016. A recently released CNN poll highlights high levels of traditional anti-Semitism in Europe, with 25 percent of Europeans believing that Jews have too much power and influence in politics, finance and the media. However, a third of Europeans subscribe to the new anti-Semitism — anti-Zionism — believing that supporters of Israel use accusations of anti-Semitism to shut down criticism of Israel. Which factor do you think is more dominant? Actually, we live under the threat of anti-Semitism from three different sides. The first is anti-Semitism that comes from the Islamic fundamentalism and radicalism, which accounts for terrorism. The good news is that non-Jewish Europeans understand that it’s a European problem, not a Jewish problem, and they started dealing with them. The level of successful terrorist attacks in the last 18 months has declined. The second is the radical right, which is historical European anti-Semitism. Your mention of Jews having too much power is like The Protocols of the Elders of Zion. In many European countries, there are hardly any Jews anymore, so this is all a myth, a dangerous virus. And the third is the extreme left that delegitimizes Israel, like the BDS movement. Isn’t the threat of the left linked to the Islamic threat? No, it’s different. Islamic fundamentalists are religious and extremely violent, like ISIS. The extreme left uses the law, universities and trade unions to delegitimize Israel through the BDS movement. Look what is happening today in Great Britain. There is a person who is officially anti-Zionist and anti-Israel, (and unofficially, which we really know to be true, an anti-Semite) who expresses anti-Israel opinions and is going to implement those opinions. BDS under Jeremy Corbyn can become national policy. Jews living there will have to question if they are willing to live in a country under such a person. You have cautioned Israel and Jewish communities to refrain from developing ties with nationalistic, populist and xenophobe parties in exchange for their declarations of friendship toward the Jewish State. With few friends to choose from, shouldn’t Israel cultivate relationships with the likes of France’s Marine Le Pen, who denounced her father’s anti-Semitism, or Hungary’s Orban, who fought against the influx of Muslims, rather than England’s Corbyn? That’s a very good question. But I would like to ask people how many Jews in Europe were killed by the far left or Muslim fundamentalists, and how many Jews were killed by the far right. Isn’t that a question of opportunity? Islamic fundamentalists would wipe out Israel, with its six million Jews living there, if they could. And Jews leaving France are leaving because of the Muslims, not the far right. I think the majority of attacks in Germany may come from the far right. And I did not say that we shouldn’t do it. If Marine le Pen becomes the president of France, the Jewish community will have to deal with its government. Like previous Jewish communities in Romania had to deal with Ceausecu and in Russia with Stalin. But Jeremy Corbyn is not looking for approval from Jews or Israel. He’s looking for distance. The far right today is coming to Jewish communities and to Israel for respectability. They want us to make them kosher and acceptable. We should not give them approval. They are openly racist. All the attacks against bris milah and shechitah come mainly from the far right. Here in America, anti-Semitism seems more pervasive on the left than on the right, as evidenced by anti-Zionism and BDS in the universities, by Farrakhan, the Women’s March, and even some new congressional Democrats. We have a media trying to portray President Trump as an anti-Semite. Trump is not an anti-Semite, but Pittsburgh did not happen through a Muslim. I think it would be total blindness for Jews, who have lost six million to a far right ideology and to open racism, to say that racism is not a problem. 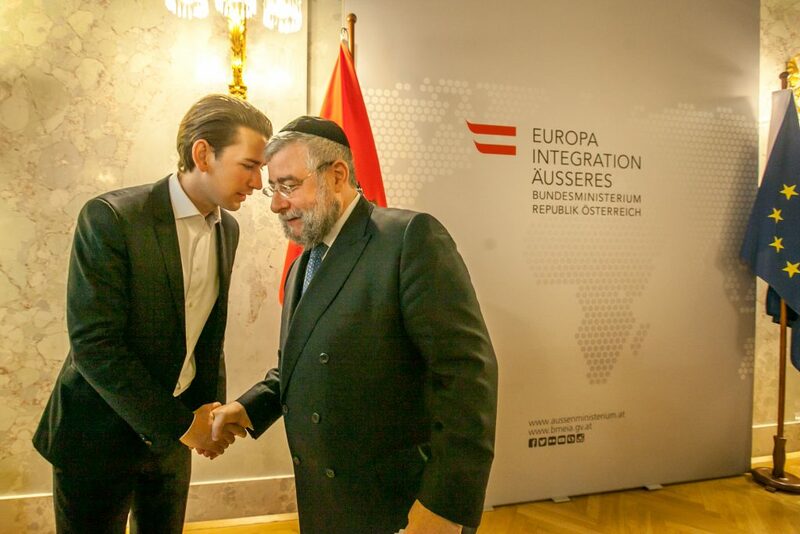 Especially for the Orthodox community in Israel and the U.S., who believe that the far right can embrace us and let us embrace them, that they are the enemies of our enemies and therefore they are our friends. This is historical blindness and a big mistake. I’m not saying that the far left is not a threat. It is a threat, not any less than the far right. The problem today, especially because of the revolution of the internet, is that the center has been eroded and taken over by extremes on the left and the right. Therefore, the situation of Jewish communities is much more precarious and dangerous today than it was 20 to 30 years ago. Would you advocate maintaining good relationships with evangelicals who support Israel? It’s wonderful that evangelicals support Israel and the Jewish community. But in terms of Europe, we also see great support from the Catholics, as well as the Vatican. The Vatican has been our ally in many of our struggles in Europe with anti-Semitism and religious freedom. But I also find some support beginning to come from some Muslim imams in terms of Israel, the Jewish community and our security needs. To paint a whole community in one corner and say this religion is our friend and this religion is our enemy is being over-simplistic. A recent EU poll reports that nearly 90 percent of European Jews feel that anti-Semitism has increased in their home countries over the past five years. Instead of working to solidify Jewish life in Europe, why not concentrate on encouraging aliyah? I think that every Jew should decide on his or her own when to make aliyah. Actually, many more European than American Jews made aliyah. European Jews feel a deeper proximity with Israel — many more have relatives living in Israel, visit Israel and have Israeli citizenship. Because of this, we have dealt with one issue very successfully. One of the problems which has afflicted the Orthodox community is the problem of agunos. Based on the presumption that every European Jew is thinking of one day running away to Israel or has children in Israel, we asked the Knesset to pass a bill extending the jurisdiction of batei din in Israel to Europe. It passed last May, and over 20 cases of agunos have been solved since then. Last month, Israel’s Chief Rabbinate agreed to stop sending Israeli rabbis to perform conversions in Europe and instead recognize the CER as the sole authority over Jewish conversion. How does this affect conversions in Europe? There are 1.6 million Jews in Europe today. They are organized in three different types of communities: 10 percent on the left are comprised of the Reform, Conservative and liberal communities, mainly in England, Hungary and Scandinavia. Ten percent on the right are the chareidi communities, mainly in England, Antwerp, and Zurich. The remaining 80 percent are general communities. These span the spectrum of those who are shomer Shabbos to those only ethnically or culturally Jewish. However, the rabbis and shuls of these general communities are Orthodox. The CER represents this 80 percent. Because most of these communities are led by lay people who are affiliated with Orthodoxy but not necessarily personally observant, there is often pressure on the rabbis, especially of smaller communities, regarding intermarriage. The smaller the community, the farther away from the Jewish center, the more assimilation there is. There has been increasing pressure on local rabbis to facilitate an express giyur and be as lenient as possible. So the CER instituted that giyur should not be dealt with by the local rabbi but by regional Batei Din, like those in London, Paris, Ukraine and Germany, thus relieving pressure from local communities on local rabbis. Also, local rabbis had contacted the Chief Rabbi in Israel to send representatives of the Israeli Beit Din to Europe to perform a giyur on the spot without proper vetting. This is very important, because people have approached me to convert their non-Jewish wives without even knowing themselves what Yom Kippur or the alef-beis is. Before we are megayer the non-Jew, we have to start with the Jew. I urge them to learn and return in a half year. Some of them have ultimately become Rabbanim and lay leaders in their communities, going from the almost-assimilated periphery of the community to become learned, involved and an example for everyone else. Because we demanded it of them. Our message to the general, non-religious youth in Europe is that if you want to have Jewish children, marry a Jewish girl; if you don’t want to marry a non-Jewish girl, then you have to become frum. The moment we have an ad hoc express giyur it sends a totally wrong message that they can marry whoever they want and the rabbis will take care of the problem. This makes European Jewish communities more fortunate than their American counterparts. Would you agree that conversion in America has become a political issue, along with other issues like egalitarian prayer at the Kotel, driving a wedge between non-Orthodox American Jews and Israel? It’s very interesting that you mentioned the issue with the Kosel. American Reform Jews say they want a place in the waiting room for the Beis Hamikdash. But if you open up a Reform siddur you would see that the whole tefillah of Retzei is taken out. The belief in the return of the Beis Hamikdash has been removed from the Reform faith. Before wanting a place in the waiting room for the Beis Hamikdash, Reform congregants need to put this tefillah back. Their politics do not correspond with their theology. But they want this because they know that the Kosel Hamaaravi is the most sacred place today in the world for every Jew, and they also want a place there. I’m actually very worried that while Eretz Yisrael is becoming more and more frum, the U.S. is becoming more and more secular. The Conservative movement and especially the Reform are losing so many. What shtikele Yiddishkeit they used to give is gone, and the majority of American Jews today are not affiliated with anything. This is going to be the great challenge for every Jew to see what he can do in order not to lose a few million Jews in the next dozens of years. To that end, Israel recently inserted a clause in its Nation-State Law pertaining to Israel’s responsibility towards Diaspora Jewry’s security and fight against assimilation. With non-Orthodox American Jews resisting interference from Israel on religious issues, shouldn’t Israel focus on the security of Jews in Israel instead? Israel is no longer a third-world country. It is the start-up nation and has become a very powerful first-world country with many financial abilities. With all the problems Israel has, I think one of the positive points of this new Nation-State Law is the understanding that a part of the State of Israel is the Jews living outside of Israel, in Europe and especially in the U.S. If Israel is not going to do something about ensuring the continuity of Diaspora Jews, then those Jews are going to disappear. Once they disappear, so will their support for Israel. But the Orthodox are growing, though it will take them many years to become a more dominant force. Right, but the question is to what extent will they offset the others. Influence is not just in terms of numbers. It’s also in terms of financial capability and influence. What will the financial and political influence of the Orthodox, mostly centered in the New York area, be like?